At Truckmount Steam Clean, LLC we are dedicated to providing the finest in carpet cleaning and pet stain removal solutions for your family or business. Our team in San Antonio, Texas has delivered consistently flawless results for more than 20 years, all while providing dedicated and personal service, competitive rates, and a great value for your dollar. That's why our customers keep coming back, and that's why we look forward to building a great relationship with you. 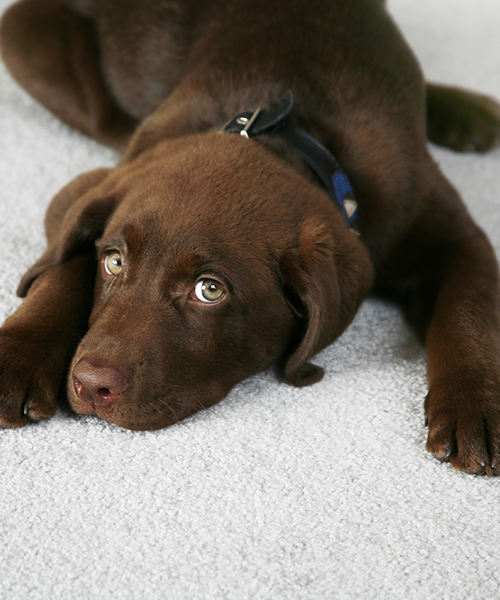 From basic carpet cleaning to pet stain removal of deep, old stains, we're here for you. We offer tile and grout cleaning, odor removal, and we can even remove stubborn red stains and restore the formerly-vibrant colors of your carpet. Ask us today about our color restoration process. Count on us to ensure your carpets look clean and smell great. Our business customers know they can count on us for the same quality service our residential customers get. Whether you need us to clean carpets, tile, or remove stains, we're here for you. Additionally, we offer 24-hour emergency water extraction. 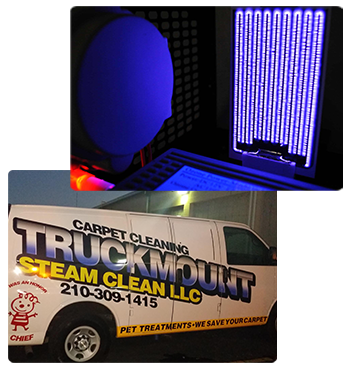 Truckmount Steam Clean LLC specializes in unique treatments for all types of cases concerning pets. See below. Pet has made only one or two deposits on the carpet in the same place & the carpet backing has not been compromised. Our regular deep cleaning using an enzyme based odor control product is highly recommended. Enzymes: product that digest contamination & contain odor modifiers. Pet has made multiple deposits on the carpet. The carpet backing & pad has been contaminated. Sub-floor may or may not be contaminated. We saturate the front and back of carpet with a urine neutralizer directly on the stained area; we allow 10-30 minutes of dwell time, then extract the solution with a deep steam clean to the front and back of carpet. Carpet has literally been used as a litter box. Carpet backing, pad, & sub-floor have been thoroughly contaminated. Carpet needs to be pullback & the contaminated pad has to be removed & replaced. Sub-floor needs to be treated & sometimes must be sealed. We use a special concentrated product, that you cannot just buy over the counter. Depending on the type of carpet and the length of time the pet stains have been in place could determine if we are able to remove the stain or not. Most of the time we are able to remove most pet stains, but once our technician evaluates the area, he will be able to give you a more definite answer. We do guarantee all pet stained areas will be sanitized. With everyday life, we can't help but deal with stains on our carpet, but not to worry with our help and specialty products we can virtually take care of all spots and stains for you. If we can't remove it, we are positive no one can. One common scenario involves people who have tried everything to get rid of a smell, but are still left with lingering scents that just don’t seem to go away. One reason that ozone is effective in these situations is because, as a gas, ozone effectively cleans any place that air can go. This includes air, walls, ceilings, ductwork, carpet fibers, gaps between floorboards, cracks in walls, and more. Ozone is able to penetrate into these areas and destroy odors that it finds there. So how does ozone get rid of smells? It chemically breaks down odor-causing molecules in any area where air is allowed to flow. Problem odors come in all shapes and sizes. Smoke, pets, cooking spices like curry, pets (including wet dog odor in the air), food, decaying organisms, and humidity are just a few of the problems where ozones can be successfully used in odor removal. 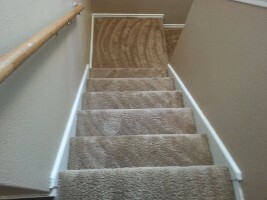 We are experts at carpet stretching, repairing pet damages, and fixing any kind of carpet issue you may have. Carpet stains or burns? Pet damages? Unsightly wrinkles and ripples? Because we will always try and repair it before we replace, we have a great deal of experience repairing all kinds of common carpet damages, from bleach stains to ripped and unraveled. 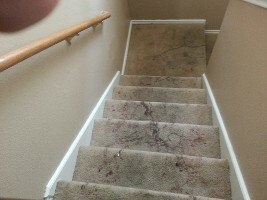 Think a bleach stain or pet damage dooms your carpet? Think again. We can fix that! And for a fraction of the cost of replacing it. We use a self-contained pressure washing system specifically for tile & grout. With our heavy duty truckmount customized system, we are able to give you the best tile & grout cleaning. We extract all dirt, soils and grease from the grout. 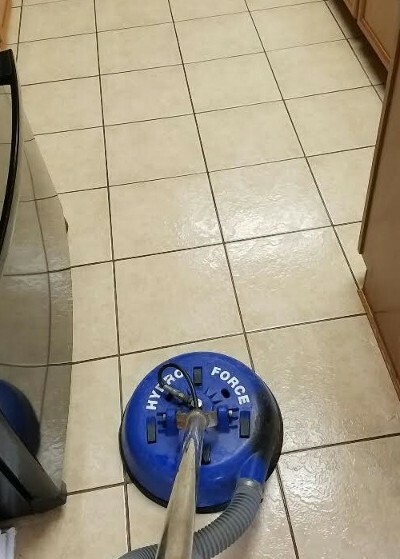 Our unique system generates strong water pressures with high level of heat to disinfect and sanitize your flooring for the best possible clean. 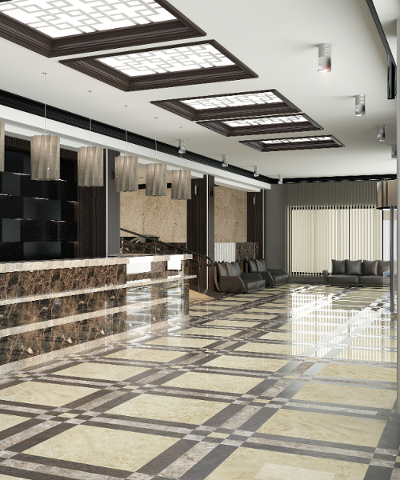 Our products are not harmful or harsh, but are designed to clean, brighten grout and ceramic tile. We can revive your faded, discolored, heavily stained carpets and save you money from having to replace.